For more than three and a half decades now Agra District and Sessions Court has witnessed refusal of work by lawyers on any given Saturday. On 13th March 1982, the Agra Bar association called a Saturday strike, demanding the creation of a bench of the Allahabad high court in Agra. With the demand unmet, the strike continues to be observed every weekend till today. Advocate Ashok Kumar Sharma, Senior Vice President of Agra Bar Association, who started practising in 1981 says that the demand for a bench for western region of Uttar Pradesh in Agra existed from long before but really caught fire in early 1980’s. Agra’s claims for a bench are embedded in a historical sense of entitlement. For three years between 1866 and 1869 the high court for the then North-Western Province was established at Agra before being shifted to Allahabad for varied reasons. A historical note by Sir Orby Howell Mootham, ex-chief justice of Allahabad High Court and one of the few British judges to have practiced both before and after independence, suggests the chief reasons to be piling arrears of pending cases at the pre-existing Sadar court at Agra and lack of required infrastructure for a high court. The lawyers practising today at the Agra District and Sessions Court however suggest that in the aftermath of the 1857 revolt, the security of many officials was a concern in Agra which is why the court was shifted. 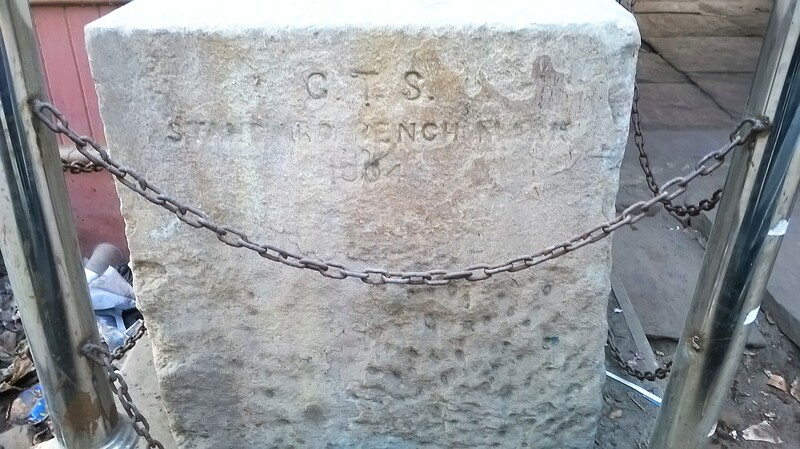 The foundation stone for the high court still stands preserved in the historic building campus as a constant reminder for the aforementioned claim. With people facing difficulties, especially in larger and more densely populated states, in accessing courts of higher judiciary on account of distance, demands began to generate in most states for alternative benches for the existing high courts in the post-colonial Indian state. With the crescendo hitting in 80’s, then Prime Minister Indira Gandhi faced the monumental task of placating them. A commission was appointed under Justice Jaswant Singh to make recommendations for alternative benches in different states. The report recommended, among other suggestions, establishing a bench of the Allahabad high court in the Agra district. Agra lawyers became hopeful but soon after Gandhi’s assassination in ‘84 these developments hit a roadblock due to ensuing climate of political instability. Power kept changing hands at the centre and the state and since the demand for benches had to be raised by states in front of the centre, the ball kept being tossed back and forth with no fruition. Question was raised in parliament as well and demands were raised with local, state and central leaders but to no effect. With the subsequent splitting of Agra Bar association and the sudden cropping up of demand for the Western UP bench at Meerut, Agra’s agitation lost steam with the strike, still in place, becoming merely a skeleton of what it used to be. As the arrears of pending legal cases mount, problem of distance for people in western UP from their high court persists and lawyer lobbies in different cities keep battling each other, the issue remains stuck in a limbo with no end in sight. Meanwhile this weekend on Saturday will mark the 35th anniversary of the seemingly perennial Saturday strike at Agra Deewani that begun on this very date all those years ago.